Establishing links with local landowners. ‘From Local to Landscape’ seeks to effect a fundamental change in how our landscape is managed and worked by moving away from a more locally focused, less strategic approach to one where diverse resources, expertise and ambition are pooled to enable cost effective and joined up improvement to landscape. Those with the skills and knowledge needed to enhance the landscape will be brought together with those that either own or work the land to develop a more joined up approach to management that works for all. The project will firstly develop a framework within which to co-ordinate effort, which will be in the form of a Landscape Management Plan. ‘From Local to Landscape’ will then facilitate delivery of this Plan through targeted support for farmers and landowners to access Countryside Stewardship funds, and targeted support to establish viable landscape-based social enterprises (e.g. woodland products linked to woodland management). These efforts will complement the delivery projects being delivered through the LOTF LPS. A Landscape Management Plan is needed in order to help guide the delivery of environmental improvements at a landscape scale. This Plan is intended to take the LCAP to the next stage, by exploring and embedding landscape scale delivery models with partners and landowners that extend beyond the LOTF LPS. This Plan will help shape the long term management and maintenance plans for the Scheme, representing a critical part of the Scheme legacy. The first phase of Plan development will require extensive facilitation across the Landscape Partnership and beyond, building on the work started during the development phase. It will assist Scheme partners to bring farmers, foresters and other land managers together to think about the local natural environment at a landscape scale, helping to strengthen the Natural Environment Working Group. In addition to considering the spatial co-ordination of environmental improvements, the collaborative working will also explore governance, which could yield opportunities to share expertise, equipment and resources across administrative boundaries in support of the overall vision. This process will also seek to identify opportunities for social enterprise development as part of the wider ‘From Local to Landscape’ project. Once the Plan has been developed, the next phase will see clearer operational links with the LOTF LPS and a more strategic, partnership approach towards Countryside Stewardship. The landscape scale approach will cover land under existing agrienvironment and forestry/woodland agreements, common land and land not currently covered by a stewardship scheme. Improvements directly delivered by the LOTF LPS will also form part of the mix. 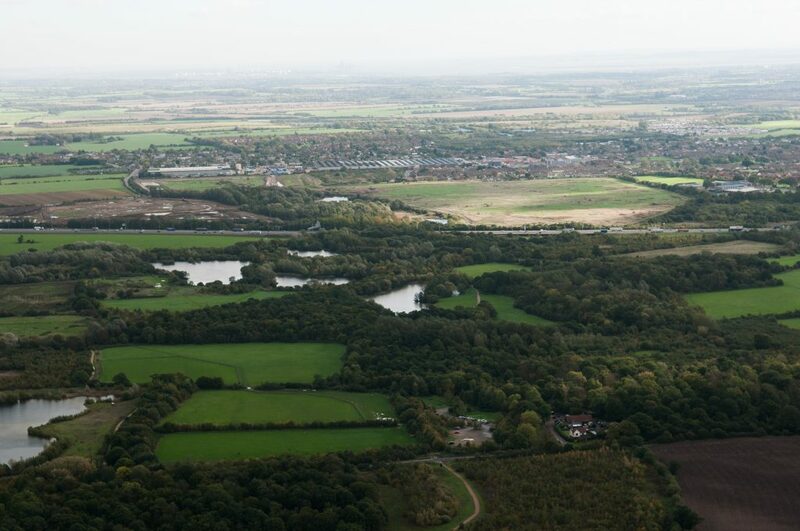 The Plan will help focus partnership effort in areas where it is most needed and lay the foundations for an operational partnership to continue delivering and maintaining the landscape vision after the scheme. The Landscape Management Plan will also set out the governance arrangements required to achieve a landscape scale approach. The concept of the Landscape Management Plan aligns very well with the Countryside Stewardship Facilitation Fund, which aims to build on the principles of partnership working to deliver strategic environmental benefits. Applying to this fund in the 2017 funding round represents part of the match funding strategy for this project. The LOTF LPS includes a series of targeted habitat interventions that help restore the Landscape in line with the Landscape Conservation Action Plan. This project seeks to complement this focussed work through more general ‘Farmland Uplift’ efforts – working with farmers to improve the conservation value of their land through stewardship agreements that support the Landscape Conservation Action Plan and its legacy. These efforts will be guided by the vision and direction provided by the Landscape Management Plan that forms the core of this project. To achieve this, a combination of Land of the Fanns team and commissioning resource will be made available to farmers to help put together management plans and negotiate the Countryside Stewardship process. Local environmental bodies and specialists will be consulted as part of this work. This element of the project aims to develop and secure five Countryside Stewardship agreements outside of the LOTF LPS – one for each year of the Scheme. The final element of ‘From Local to Landscape’ will seek the establishment of three social enterprises relating to the harvesting of products resulting from the Landscape Management Plan approach. The initiative will complement existing business support programmes being delivered by local authorities, offering business development support that aligns with the vision and objectives for the LOTF LPS. For eligible prospective social enterprises that come forward as a result of the Landscape Management Plan, LOTF LPS networking and marketing, or via local business support programmes, a package of support tailored to their individual needs will be offered. This initial support will be in the form of up to 3 days of specialist business assistance. For the three social enterprises that become the focus of this project, an additional 10 days of support will be provided. The support could include study visits, training in asset transfers, financing, asset acquisition, land brokerage, woodland management and business planning. The project will also include a series of training and knowledge sharing events that anyone can attend, aiming to inspire people to consider starting up a business that supports the landscape. Social enterprises that are successfully established will be invited to showcase their work at a Land of the Fanns conference. Examples of suitable social enterprises could include Friends of Groups sourcing and selling arisings as compost, an individual manufacturing art works from local woodland products, or the establishment of a local firewood community business. The initiative could be developed as a local offshoot of the national ‘Making Local Woods Work’ project, which is being led by the Plunkett Foundation and its partners, and funded by the Big Lottery Fund. This scheme aims to advise and train 50 prospective woodland-based social enterprises across the UK between 2015 and 2018. Opportunities to connect this project to national and local initiatives will be scoped and developed during Year 1.